As the big fashion fan that I am, I adventured myself today to "L'Espace Ephimére des Tulleries" in Paris, to check out the celeb arrivals at the Dior show. For now, I have some pics of the arrivals at the Dior show today, and also some of the models leaving after the show still with their colourful makeup on. 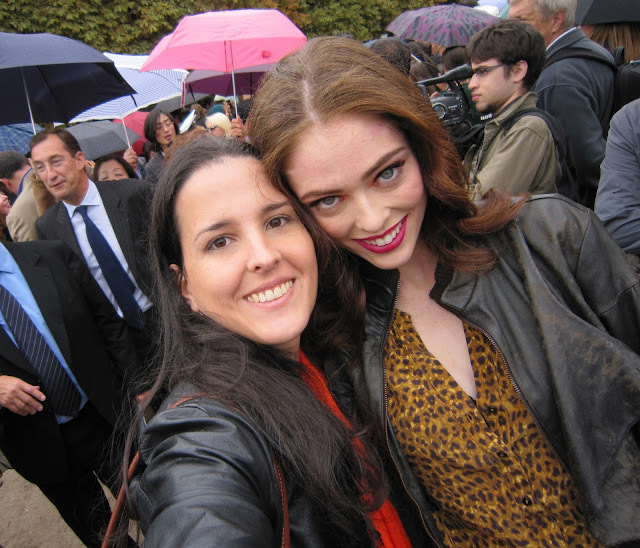 The gorgeous COCO ROCHA was super cool enough to take five seconds of her time to take a pic with me. Models - Vlada Roslyakova, Siri Tollerod.